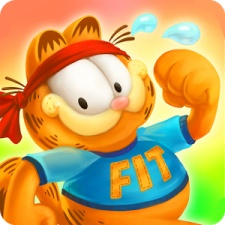 Hong Kong-based mobile publisher Animoca Brands has raised a further $5.2 million investment to finance a new set of virtual reality Garfield games. As reported by The Australian, company CEO Robby Yung said the funding is aimed at expanding the company’s portfolio away from a mobile focus and into VR, eBooks for kids and other subscription-based products. It comes as Animoca renewed its deal with Garfield IP owner Paws, Inc to develop the new mobile VR titles. “We’re focused on ramping up our game and e-book development efforts as we look to partner further with leading brands and expand our audience reach,” said Yung. In April 2016 the company raised $5 million to "meet working capital requirements and strategic growth opportunities", with the chance of a further $800,000 from existing shareholders. This came shortly after the firm raised $3.5 million in December 2015 and $2.3 million in July 2015. This brings the publisher’s total funding to date to around $16 million. As its name suggests, Animoca Brands works on games associated with a number of popular IPs. This includes brands such as Garfield, Doraemon, Mattel, Ben 10 and more. To date its portfolio of 481 games have been downloaded more than 260 million times. In the 2016 financial year ending December 31st the company brought in nearly $8.7 million in revenues, mostly stemming from in-app purchases, as well as advertising and money from co-development and marketing services. This was up from $7.5 million the year prior.